Collector’s Item, the Celtic Cross was originally introduced in 1991. 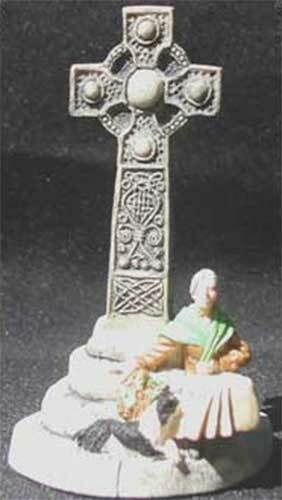 This standing Celtic cross figurine depicts the beauty of Ireland in miniature and measures 2 1/4” wide x 3 3/4” tall. The hand-painted and hand-crafted standing cross figurine is made in Ireland by The Irish Heritage Collection and is gift boxed with Celtic knot and Celtic cross history cards, complements of The Irish Gift House.